About: John Toth trained with Vidal Sassoon in London for haircutting and coloring. And with the seminal, post-punk "street style" salon, ANTENNA, where he learned the Monofibre hair extension technique. He then moved to New York City where after a brief stint working at the downtown boutique of stylist Patricia Field, he worked for many years in the fashion industry as a makeup artist for the runway shows of designers including: Vivienne Westwood, Thierry Mugler, Betsey Johnson, Geoffrey Beene and Mitsuhiro Matsuda. And on the sets of various magazine editorials and advertising campaigns with photographers including: Richard Avedon, Helmut Newton, Steven Klein, Annie Lebowitz, Patric Demarchelier, Steven Meisel and Ellen von Unworth. 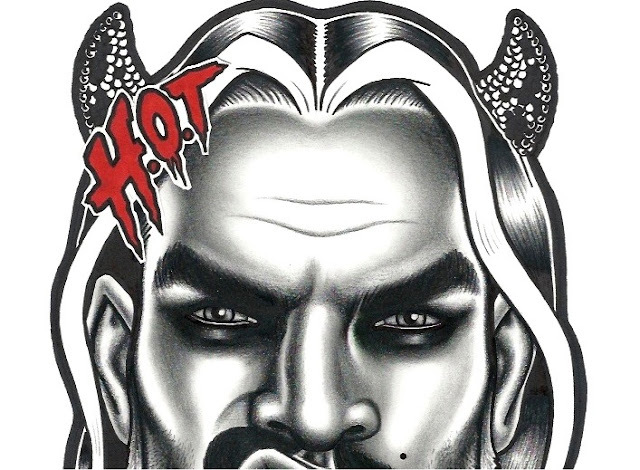 During that time he also became involved with the last of NYC's truly "underground" nightclubs JACKIE 60 (1990-1999), and his drawings were frequently featured there for various Sci-Fi and fetish themed nights. Some other legendary nightlife establishments that have also shown his work include THE SOUND FACTORY and PORK, which was held at the infamous "leather" bar THE LURE, and more recently at EGG in London, which includes the one-nighters: TRADE, BERLIN-BERLIN and GOLD DIGGERS. His drawings have been published in OMEN, MARQUIS, DRESSED TO KILL, QX and LASH magazines, and have appeared on the television show BLINDSPOT.